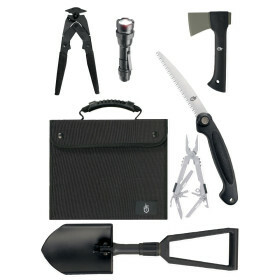 Gerber Off-Road Survival Kit » Protective Solutions, Inc.
Gerber's Off-Road Survival Kit equips you with rugged, emergency tools for any situation. With limited space in your vehicle the compact size of this kit (12" x 11" x 3") enables you to secure your gear almost anywhere. So if you find yourself down-range or simply down the road you will be prepared.